When I built the largest training company in the world, I made it my mission to help others become world-class trainers and use teaching as a method to grow their business. If you want to know why teaching is the most effective way to get rich, make sure you read this article, Why Teaching Is The Best Way To Get Rich Quickly. But what makes someone “qualified” to teach? An advanced degree? A teaching license? A certain number of years of experience? I meet so many people who want to become speakers, teachers, and trainers, but they don’t think they’re qualified to teach because they’re not an “expert” or super successful yet. Or if you made $50,000 profit on a real estate deal, you can teach others exactly how you did that so they can model your success and hopefully have it as well.. The truth is, anyone can teach. 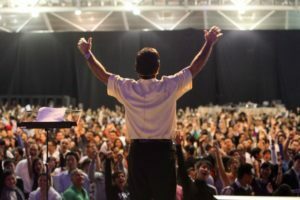 You already have what it takes to go up on stage or do online trainings, form connections with your audience, and change people’s lives. The biggest opportunity here is figuring out WHAT to teach. Not sure what you could teach? Try these 5 exercises below that have worked for me and hundreds of my students to figure out what you are truly qualified to teach! Maybe you have a natural artistic talent. Maybe you’re a math genius. Or maybe you’re just naturally good at something that others aren’t for example, networking or meeting other people. Make a list of all the things you’re naturally good at. Really think about it. Resist the temptation to downplay your abilities – I know sometimes it’s easy to say to yourself, “Well this comes so easily to me, I don’t think it’s a skill.” Remember, not everyone finds what you do as easy as you do! Your natural talents and skills are something you can teach other people. Remember, not everyone finds what you do as easy as you do! Think back on your life — do you have memories of family, relatives, or friends teaching you anything in particular? It could be as simple as your mom or dad teaching you to change the tire on your first car… or as complex as learning the family business. Again, write these down in a list. These learnings are an opportunity to pass on the same knowledge and skills to other people. If you had a great teacher, model their approach. If you wish someone had taught you a little differently, improve on it and make corrections – then pass it on to your students. The learnings you’ve had from family, relatives or friends are an opportunity to pass on the same knowledge and skills to other people. Do you have any formal education or credentials? You don’t have to become a professor to teach what you’ve learned from your higher education. There are plenty of people out there who don’t have the time or money to get a formal degree – but who are hungry to learn. The best part is that teaching these “formal” topics doesn’t have to be stuffy and boring. 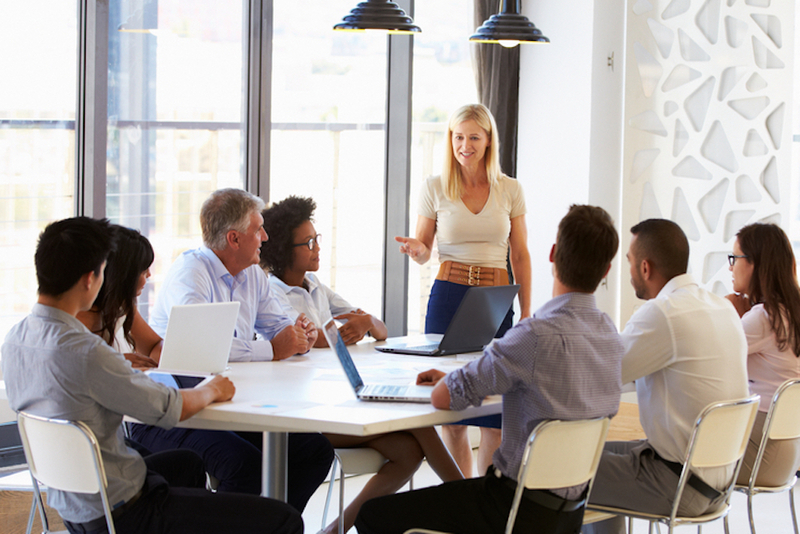 Training professionally gives you the opportunity to pass on knowledge your own way – authentically with your own personality and approach. Again, the goal here is just to make a list of possible topics you could teach so you can see what’s out there. Teach what you’ve learned from your higher education. Teaching something doesn’t have to come from professional knowledge or formal training. You can simply teach based on what you LOVE doing! Do you love playing the guitar? Do you paint in your free time? Are you a snowboarding fanatic? Think about your hobbies and what someone just getting started would need to know – and just like that, you’ve already got ideas for your very first training. Teach based on what you LOVE doing. Is there something you’re good at that not many people know how to do? Have you be able to get extremely healthy and enhance your performance at work based on a specific diet you’ve put yourself on. Is there anything you’ve done for years and years? Is there anything you’ve become really good at that others struggle with? It could be anything. And if you’ve already gone through the other exercises, chances are you have a lot of possibilities already. So Now You Know WHAT You Want To Teach… What Next? By now you should have an idea (or a better idea) of what topics you can teach – and if you’ve been nervous about teaching, hopefully seeing all the skills, knowledge, and experience you bring to the table laid out in front of you just goes to show how “qualified” you really are! Of course, knowing what you want to teach is one thing. Knowing HOW to use your training to create wealth and success is a completely different thing. And ultimately, that’s what we’re all looking for here – yes, or yes? 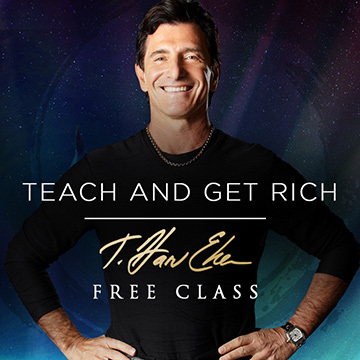 In this brand new, free class, I’ll be giving you the secrets I’ve used to teach thousands of people across the globe, make millions and millions of dollars and build one of the world’s largest training company. This web class airing April 18th-25th is absolutely FREE to attend! Do you have an idea (or a better idea) of what topics, skills, knowledge or experiences you can teach so you can double or even triple your business and income? If so, leave a comment below! I’d love to hear about any discoveries you’ve had from this simple exercise. You are AWESOME!! Im in! Thanks and namaste! You are awesome.. T Harv Eker.. I have registered for this and suggested my friends and colleagues too.. thank u for changing my life. I have been a Teacher, Instructor/Trainer, in many different fields, such as Retail, Non-Profits (ARC) American Red Cross and YMCA’s; 10 Pin Bowling; Sports Official and trainer of Sports Officials; Swimming Instructor/Trainer, and so much more. I have done some Public Speaking over the years and am comfortable in front of an audience. I have performed.before the State Convention of 700 women at the American Legion Auxillary. I have been a (NSO) National Service Officer with ‘AMVETS’ Veterans Organization, on a National Van, traveling the country in a Motor Home, submitting Vet Claims and was on TV and RADIO. So much experience over my 70+ years of life. I have no doubt I can be a successful Trainer, as I have done that off and on since I 20 years old. I still do that today, even though retired. Thank you, Harv! I have been a professional teacher for 20+ years, but I want to start my own business in different field and I will appreciate your guidance. Is this a webcast or in person event? Its a web class Tony! Keep one other rule in mind: You only know it, when you do it! The number one rule for successful coaches and trainers is that they already have the results, which other people want to have. Why would you listen to a random person about financial advice? 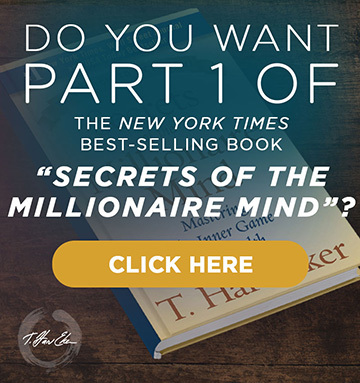 Pick a self-made millionaire who did it from scratch. This is why T Harv has a lot more credibility compared with Jesse. But no worries, because Jesse will come soon. Never the less, the struggle of Harv was much different compared to Jesse’s. So first create your own results by mastering a skill and be your own testimonial. If you don’t, you will always miss a little piece of information. 92% of the people are failing longterm on their diets. Not because the info is not good, but because the most teachers and trainers don’t know how to go from real fat to really fit. I truly look forward to this Harv. I have two Masters Degrees and have been a Disability Advocate for more than nearly 40 years, (when not in school). I have other skills as well, however, as you point out, I’m far from alone. This will be great!!! Can’t wait to listen to your teaching. I dream of being a visiting Professor internationally and talk about what I love and know. Now you say I can do that and make money while travelling and making new friends! Why wouldn’t I want to listen more as this is what my dream has been? I really thought I have to be a PhD. You got me at teaching others!!. Diversifying until i lost focus on any one thing has been my story. I searched my heart and found that of all the things i did the only one i made from scratch into existence was making and patenting footwear. For the last three months i ceased looking for jobs(survival) and have concentrated on building up this business. The diversification came from listening to many voices from childhood to adulthood. Especially relatives insisted i should become what they wanted. I thank God i was able to clear my mind. Harv keep doing the good job. Harv, can we have a replay link to the class? seems the button is closed. We are always following you here in Uganda East Africa. Thanks a lot, it all is just great about your programs and teachings, I honestly have to say that they have reshaped my life and income, I´m a christian and seriously believe that God is using you to bless me, and I wish you, your family and all your business and projects the best of success. God bless your team too. Soy un adulto mayor de 79 años. Siempre me gusto la musica. Nunca fui a un conservatorio o una escuela de musica para profesionalizarme. Acompaño con guitara. Ahora toco violon en conjunto de cuerdas. Tambien toque la marimba. Tengo una laptop donde subo videos pero lo que me pagan esta repartidos con mi maestro de videos. Quiero independizarme. Cuales son mis posibilidades de superar financieramente. Atentamente. Thank you Esteemed Harveker for this opportunity.. It will be great to start impacting lives around the world.